A number of districts across Barbados will be fogged. 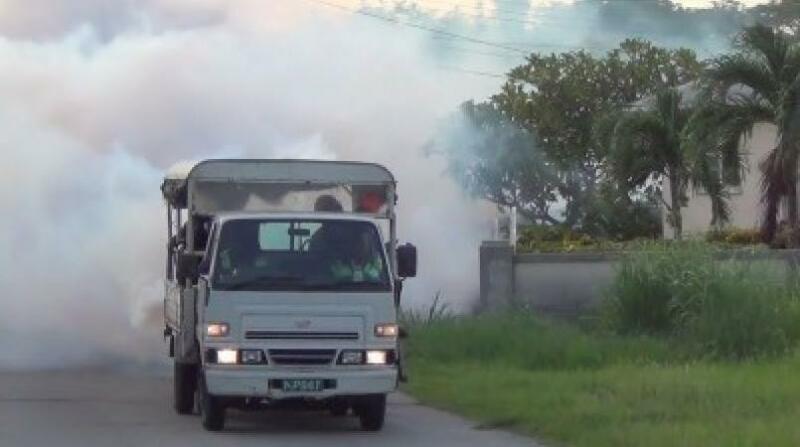 The Ministry of Health’s Vector Control Unit’s efforts to control the spread of dengue and other mosquito borne diseases continue this week, when a number of districts across Barbados will be fogged. On Monday, July, 10, the following districts in St. James will be fogged: Orange Hill, Jackman Alley, Hope Road, Whooping, Walcott Gap, Boyce Gap, Beckles Gap, Gilkes Village and the environs. The following day, Tuesday, July 11, the team will move to St. Thomas and spray Lion Castle Tenantry, Highland Tenantry, Highland Road, Welchman Hall, Vault Road, Welchman Hall with Avenues and surrounding areas. On Wednesday, July 12, the Vector Control Unit returns to St. Thomas, where they will target Sturges, Allen View, Harrison’s Cave Road, Bryan’s Road, Welchman Hall, Ashford and neighbouring districts. On Thursday, July 13, the team will visit St. Michael to fog Government Hill, Howell’s Cross Road, Deane’s Land, Mayers Road, Rogers Road, Back Ivy, Ivy with Avenues, Skeete’s Road with Avenues and the environs. The team returns to St. James on Friday, July 14, where Apes Hill, Apes Hill Development, Orange Hill Development, Endeavour, Orange Hill, Lancaster and surrounding districts will be sprayed. The fogging operations run from 4:30 to 7:30 p.m. each day and residents are reminded to open their doors and windows to allow the fog to penetrate. Parents are reminded that children should not be allowed to play in the fog or run behind the fogging machine.